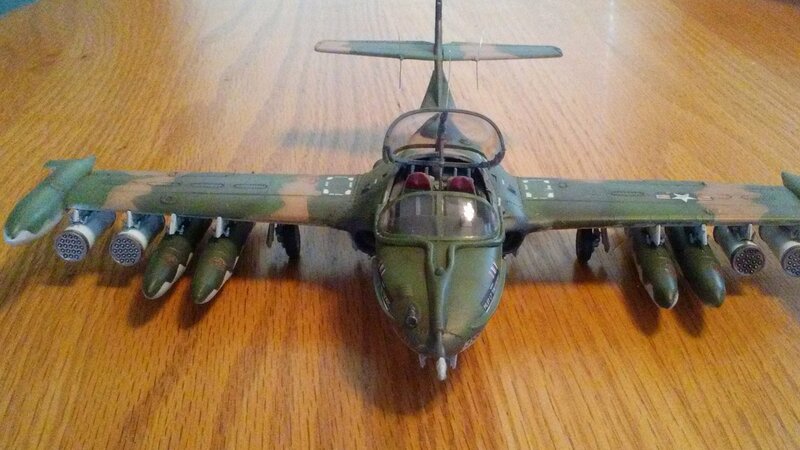 Here is the !/48th Monogram A-37 Dragonfly. I built it pretty much out of the box. 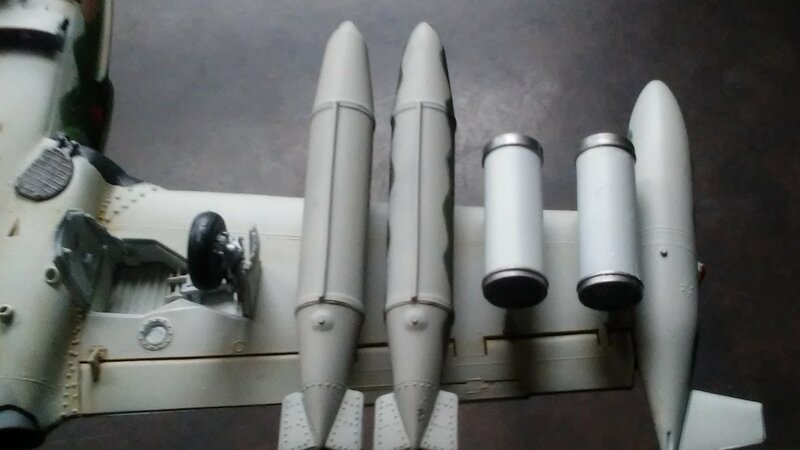 The only additions were tape seatbelts and some LAU-3 rocket pods from a Hasegawa Weapons set. This was a great little kit to build. There were no quirks to mention except for being a tail sitter. I couldn't find room in the nose for enough weight to get it on it's nose gear. I will be building a small base just so I can glue down or pin the nose on the ground. That's the worst thing for it. The raised panel lines didn't bother me at all. All paints were MM Acrylics with them being lightened in the middle of panels a bit with some yellow or gray to give it a bit of weathering. I then used an oil wash of burnt umber to bring out the panel lines. 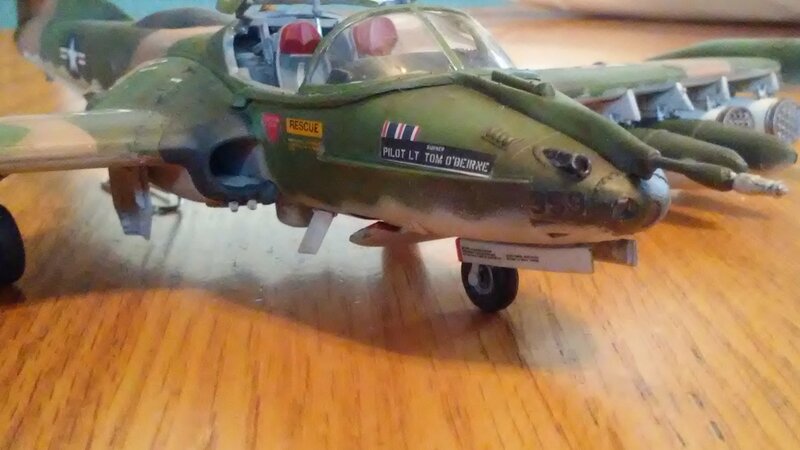 All decals were from the kit. They even worked well for being 20 yrs old. All in all a fun build. That's a terrific looking Tweety! Great job on the SEA camo too; did you free-hand it or use masks? Congrats on a sweet looking build! Wow! Love the camo job. 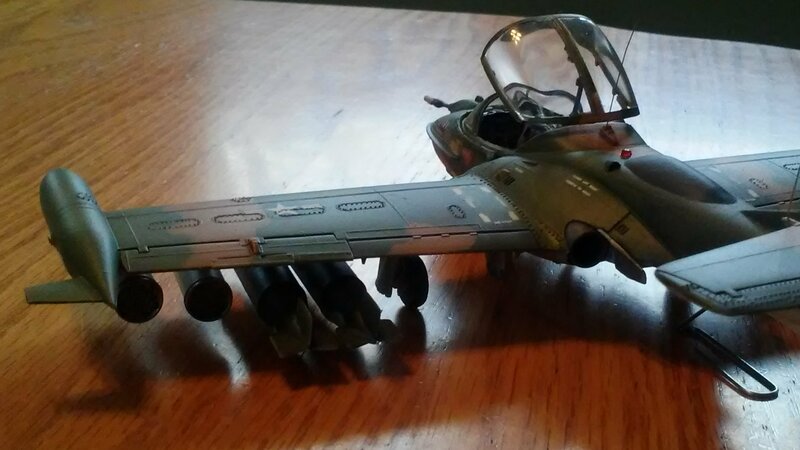 The subtle weathering make the entire paint job pop. Congrats. 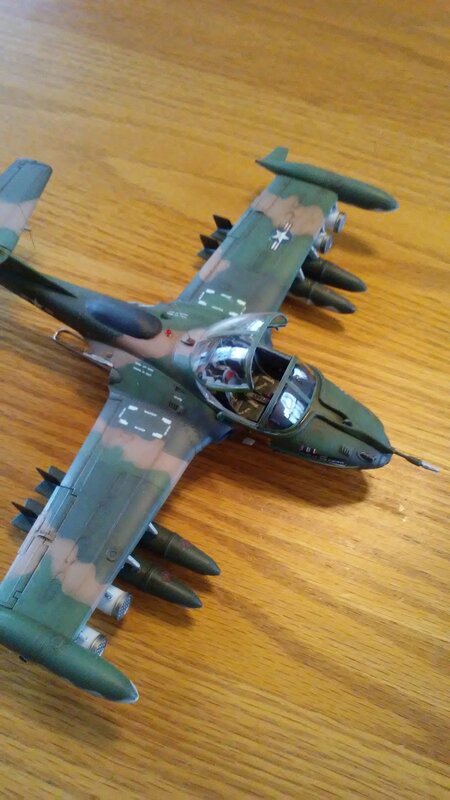 Gil, I used paper masks and Silly-Putty for the camo. 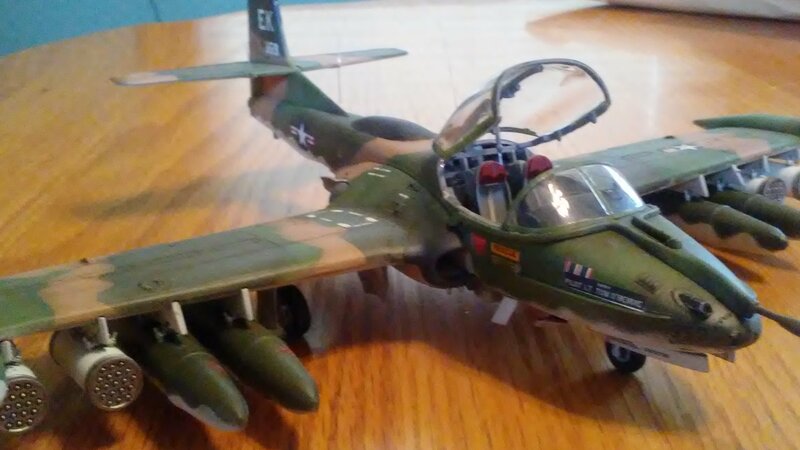 I started with the Putty but with the plane being so small, it was difficult to get it right. So, I just ended up cutting paper masks from Post-It notes. These worked well as they didnt have a lot of 'stick' on them. Brilliant work man! Most impressive! Thanks Mark. It was fun, semi quick build. 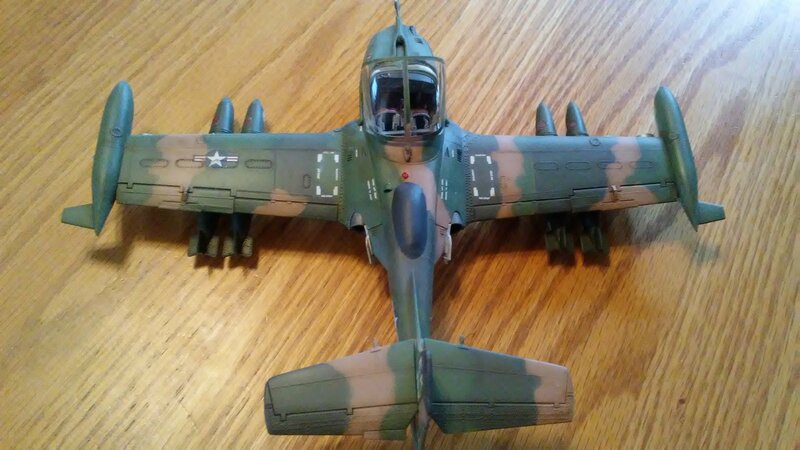 You may try adding weight in the forward area in the drop tanks. They hang a little forward of the leading edge of the wing. 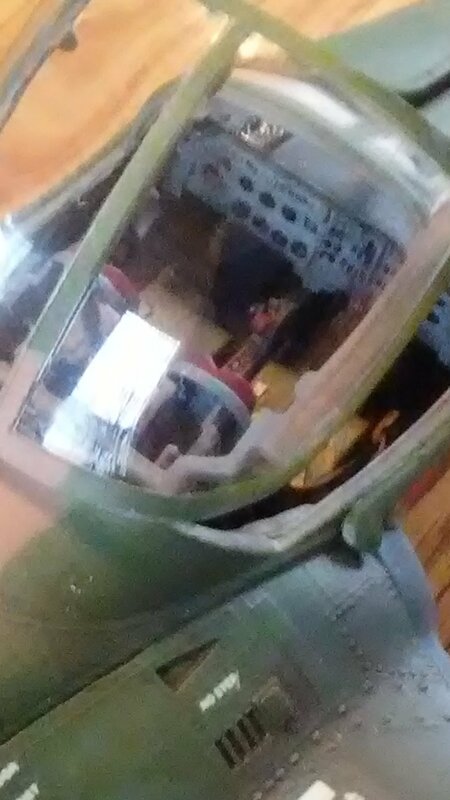 There is also a little space in the cockpit...if you leave the canopy closed. OR just pack the nose well and hope no one picks it up to see any detail, which there isn't much anyway. I wouldn't bother with the SAC gear. Not enough weight difference between the original gear to make a difference. Good luck with it, it is a great kit. That is a FINE SEA camo job! Paper masks did the trick!